Building an online teaching business entails both course creation and marketing activities. I’ve heard again and again from students who believe that the separation between course creation work and marketing work will let them work more efficiently, batching things up, concentrating on one challenge at a time. When you’ve got a big idea, your impulse can be to dig in and get your course created. 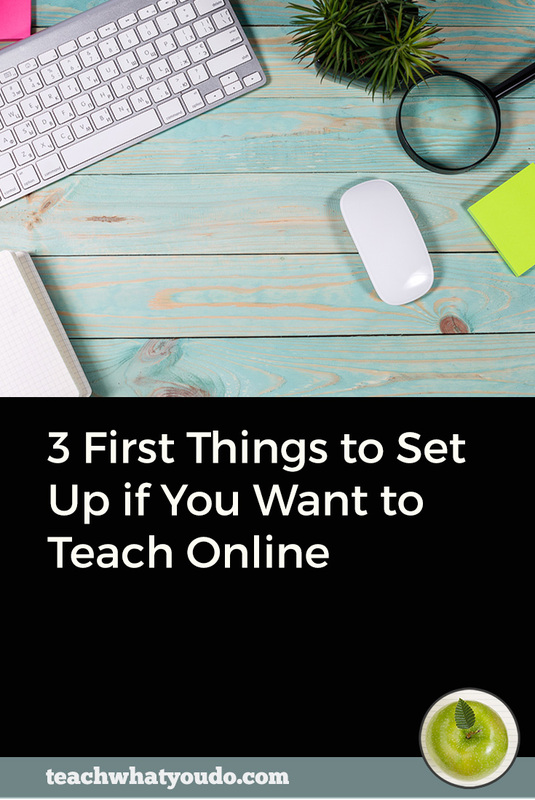 KNOW THIS: Your first online teaching efforts will be most successful when you avoid a hard break between course creation and marketing. You'll work so that these efforts overlap. 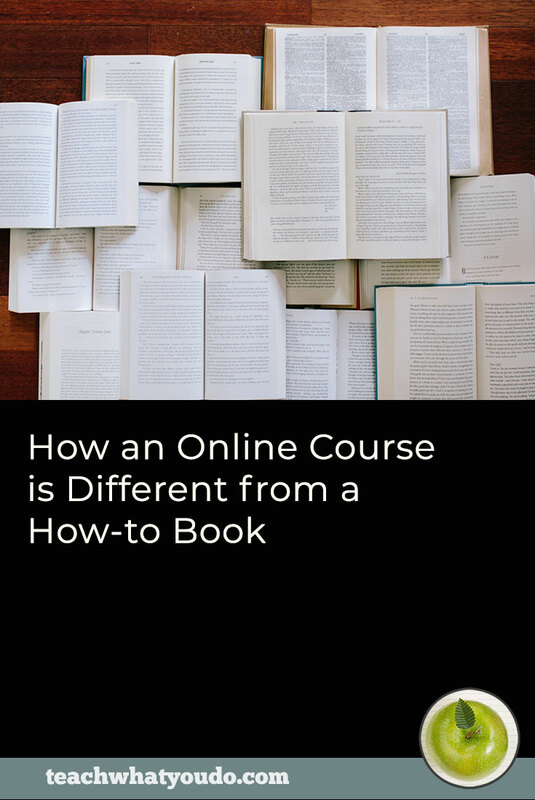 When you work so that course development and sales overlap, you’ll be taking smaller first steps: creating a smaller class to start with: an excerpt or beginner’s version. Or maybe a beta version. You’ll sell some. You’ll improve and then sell more. 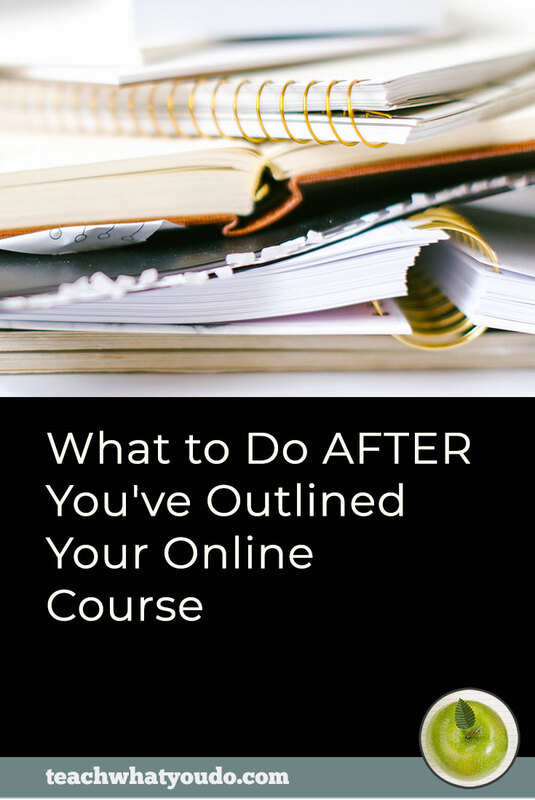 You’ll develop a portfolio of courses that you’re validating as you go. When you do this there is less risk to your pocketbook and to your morale (in the case of a disappointing launch). Big launches are risky. What’s more, when you begin with one of these measured and iterative approaches, you’ll create a course that best serves your customers. A “launch” is typically a period in which you're working to get lots of eyeballs on lots of free content that you're using to educate and convert prospects to a purchase of your product. It can entail paid advertising, events like webinars or challenges or three-part-video series. It costs money and time and even ego. 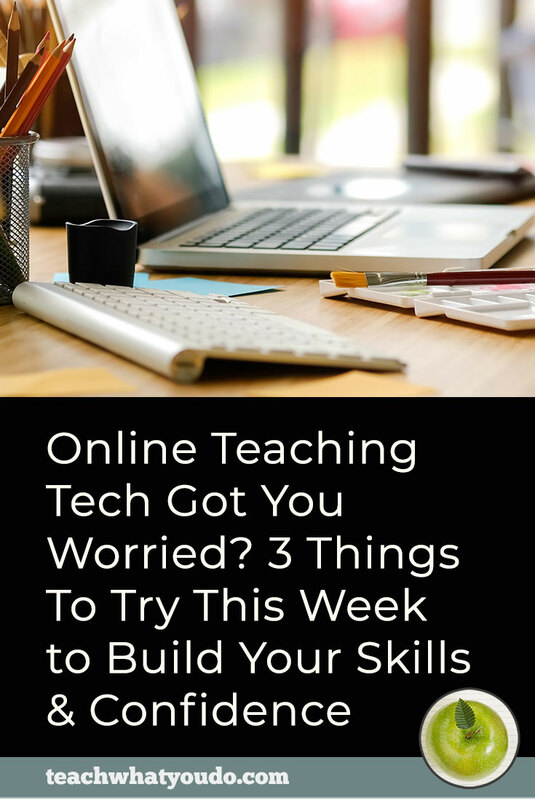 When you're brand new to teaching, take a less-risky, less-costly approach that not only saves you time and money, but that also moves you into a deeper understanding of your market. Develop a small group of interested prospects. Offer your course with lower cost or incentives. Develop a next, refined version of your course. A minimum viable product is the most basic version of your course that you can offer. Perhaps it’s a subset of the complete course you plan to offer in the future. A first small product you could create quickly and well and that you believe your people would like. What’s key is that this course has a limited scope and size. Your students can complete it relatively quickly. Your students have low investment of time and resources. You can create it relatively quickly and affordably. A beta offering may be larger in scope that an MVP offering. This could be that first version of a “signature” course with multiple modules and lessons within those modules. Think of it as a prototype. What makes it different from the complete non-beta offering you hope to eventually create is that you create it more quickly, letting students know this is the beta, and that you’re keeping it less complete because you want to be able to develop a product that will truly serve them well. Of course, they will get the revised product when it’s ready. 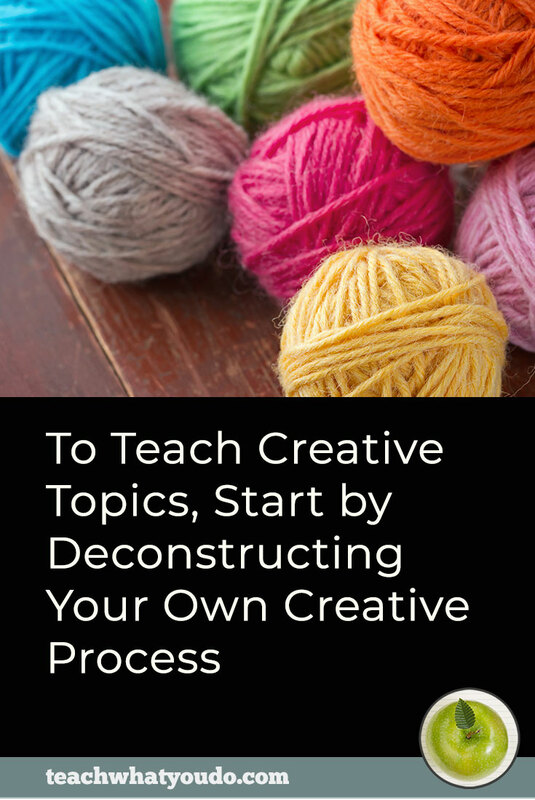 With a beta you probably will not be creating all of the pieces as completely as you will for the final course. 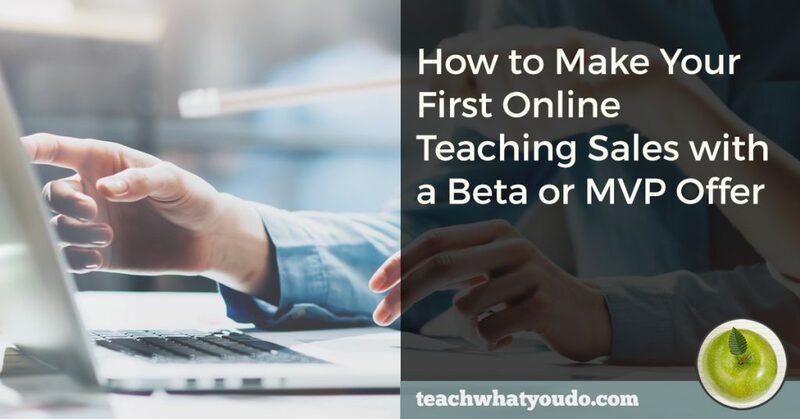 The point of the beta is to be able to revise and even pivot as you work with your students. A primary goal with the beta offering is to attract a small and engaged group of students who will complete the class and give you feedback. As you decide what to charge (and whether to charge), do it to ensure your students have skin in the game. require payment at “beta” price. Offer the beta course at a significantly lower price than that you will eventually charge (and grandfather these students in for updates). This beta offering can be a money-maker for you—and even give you the seed money for your next launch promotion. offer beta for free but require an application for limited number of spots. Announce your upcoming beta and make applications for limited number of spots available. This is work your students need to complete that shows serious intent. You want students who will participate and give you feedback. either require lower priced payment or give the spots away BUT students will have opportunity to compete for a prize. What can you offer to one or two serious and successful students that would get them motivated to complete the course well? This could be a full refund, an opportunity to be featured by you, no-cost coaching with you after the class, or something you know your students value. Determine before class starts how you’ll get feedback and engagement with your students so that you can revise and move forward. Be clear with your beta students about these engagement requirements. How often do you expect to engage with them and how do you expect to do it? Will it be one-on-one or in a group? Will it be in a forum or Facebook group? Will it be live on a webinar? Decide and make these requirements known. Set specific dates for your students’ work on the class to begin and complete. Define, also, what constitutes student success. Click on the button below to get a free pdf guide to extended details on executing a soft launch, examples of beta and MVP topics, and options on delivery of these early classes in your portfolio. And look for an article next week here that gives you a process for developing a particular kind of MVP: the mini course.